Now, since the most current runtimes have been entered, the program will be calculating all hourly maintenance alerts from these new values. As referenced above, it will be important to continue to enter the runtimes moving forward so that the hourly based maintenance tasks continue to alert correctly. Another important part of this function is the accurate recording of maintenance history once an hourly based PM is closed. When entering the pertinent data into the various fields of the History Manager, it is essential to enter the precise hours at which the service was performed. Please refer to the screenshot to see where this is done: After having worked through these processes a few times, as with most other functions in Wheelhouse, this procedure will become instinctive with each successive log-in. Web-based, providing access from anywhere in the world and providing instant updating of new features or bug fixes. Open Source Software, to reduce licensing and maintenance costs while providing robust application components. Software-as-a-Service (SaaS), providing flexibility and scalability with subscription pricing. Cloud Computing that provides scalability, security, data integrity and backup and recovery of data. A world-class application at a reasonable price. Software upgrades and bug fixes immediately available without user action. Data security and integrity is assured – no lost data. MMS logon available from any web-connected computer. While the MMS software is world class, what really differentiates MMS is its turnkey engineering content specific to each customer’s vessel. 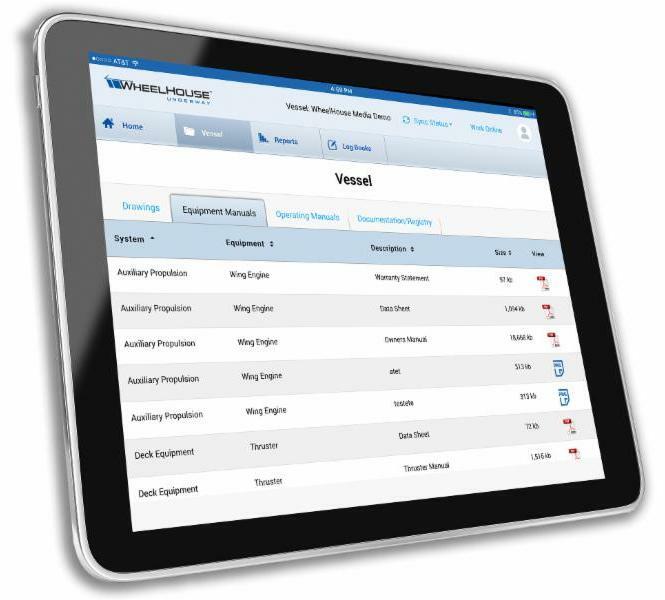 Most yacht and workboat owners know that content acquisition is the hardest part of building a maintenance solution – MMS allows customers to immediately focus on managing maintenance with customized content at their fingertips. The MMS Product Plan is influenced by what we see in the fleet as well as specific customer feedback. We encourage you to let us know what new features you think would benefit you and other users. We will let you know where it fits in the Product Plan. We will continue to combine world-class SaaS technology with award-winning content to provide a turnkey maintenance and spares program for virtually any yacht, workboat, or fleet. MMS users occasionally comment that they feel overwhelmed by the number of Maintenance Alerts MMS presents to them. While the number may seem daunting, Alerts are a reflection of the effort required to keep a vessel in top condition. And, most of us who have been around complex mechanical and electrical systems know that chronically overlooking or underperforming maintenance on them is a good way to ensure their eventual failure—and if Murphy has anything to say about it, at the most critical or inopportune time! Approximately 90% of Maintenance Alerts in MMS are based on manufacturer recommended maintenance and intervals and often the bulk of these are simple inspections. The balance derives from our fleet experience to help improve equipment reliability and assist the discovery of incipient failures (See the Inspections article). However, owner/operators often use their equipment at frequencies and loads that vary from the manufacturer’s assumptions, so adjustment of maintenance intervals is warranted and recommended in such cases. Work Completed. Select to record that the maintenance was completed as planned. The History Manager will open allowing you to furnish details, including any spare parts used. The task will reschedule to the next interval and will be saved in Equipment History. Reschedule. For example, if the vessel will be hauled in three months and you wish to perform the keel cooler maintenance at that time, select this action to change the date or run time to reflect the haul out schedule. Dismiss. Lets’ say your watermaker has not been used recently, so there is no need to perform the recommended maintenance. By selecting Dismiss, you will automatically reschedule the alert based on its normal interval. In other words, if the PM is a quarterly task, MMS will reschedule to 3 months from the dismiss date. Change Maintenance Frequency. You determine that the intake screens on your A/C air handlers need vacuuming quarterly instead of monthly. Selecting this action provides several options for changing the calendar or runtime interval for the task. You will still have to complete, reschedule, or dismiss the current alert, but after that the new frequency will be in effect. Turn Alert Off. You may want to turn an alert off on a routine task, like clearing seawater strainers. Be careful! Once you turn an alert off the task will not alert unless you turn it back on from the Task Manager. View Task Detail. Shows the details of the selected task. View Task History. Shows the maintenance history of the selected task. By using these tools you can adjust maintenance schedules to your specific operating requirements while ensuring that required maintenance isn’t overlooked. We have found that owners who proactively use the MMS Alerts features generally have fewer than 25 active maintenance alerts at any given time. Remember, MMS reflects manufacturer recommendations for “normal” operating conditions—your norms may warrant adjusting or deviating from those. Deferring or rescheduling alerts is expected in such cases. As MMS users know, each equipment record’s documents tab contains the electronic versions of operators’ and parts manuals, data sheets, and other documents available from the original manufacturer. And, via the tab’s “Add Document” link, users can add any files they may want to upload. Most users agree that it is very useful to have these documents in electronic form. In that sense, MMS is a sort of “e-Library” of valuable technical information all in one place! You’ve always been able to save any single MMS file to your computer, but did you know that you can now download all of them in one fell swoop to your laptop? It’s easy. From your Home Page, just click the Admin button, then the “Export Vessel Documents” link and follow the directions. Click “Download Documents” and the process starts. Click “Save” on the File Download dialog box, and a zipped folder will be created wherever you designate. Unzip it, and there are all your manuals to read, print, or share. MMS includes Preventive Maintenance tasks (PMs) called “daily checks” for systems and equipment that have pre-startup and/or daily inspection requirements. Because these PMs have a “daily” maintenance interval we turn the alert off to prevent the user being buried in PMs (you can turn these alerts back on if desired). An example of the daily check PM for a typical wet exhaust diesel engine would include checking the oil, coolant, primary fuel filter, v-belt tension, raw water strainer, and a general condition inspection. While MMS will have a number of daily check PMs when it is delivered, you can easily add additional ones if you want. To do so, go to the equipment’s Maintenance Tab and select “Add Planned Task” in the upper right. Make the frequency field equal to “daily” and decide if you want the alerts on or off. We recommend having a hardcopy of your daily check PMs handy, perhaps in a notebook or posted near the related equipment, until the inspections are habitual. To view and print your daily checks, select Reports on the menu bar and then choose Maintenance Tasks on the left. From the drop-down menus select All Systems and Alert Status “Off.” You can then review them on screen or print the results using the print icon in the upper right. Start using the daily check PMs that you have in hard-copy and soon they will be second nature. Are you planning a voyage that will make it inconvenient to do planned maintenance? MMS can help you forecast maintenance that is pending and knock it out before you leave. For example, you are planning a cruise from Seattle to Juneau, Alaska, over the upcoming three weeks and you plan on consuming 120 engine hours. 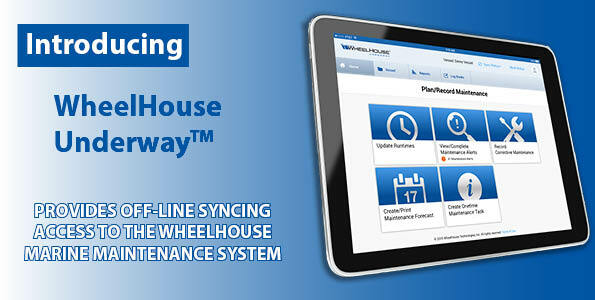 Using the maintenance forecast feature in MMS you can determine what maintenance will be due during the cruise. With forecast in hand, decide what maintenance to complete before departure, under way, or at your destination. You can also make sure you have the required service parts before departure. From the Home Page, click Update Runtimes and enter your current engine hours. Click Create/Print Maintenance Forecast. Select All Systems and set the forecast variables to 125 hours and 21 days (from the example above). Click the print icon in the upper right corner to print a hardcopy maintenance forecast. Maintenance task and required parts will be shown on the report. Perform the maintenance (or perform later but make sure you have the required parts listed in the PM). When the maintenance is completed, click View Alerts/Complete Maintenance and set the same forecast period. 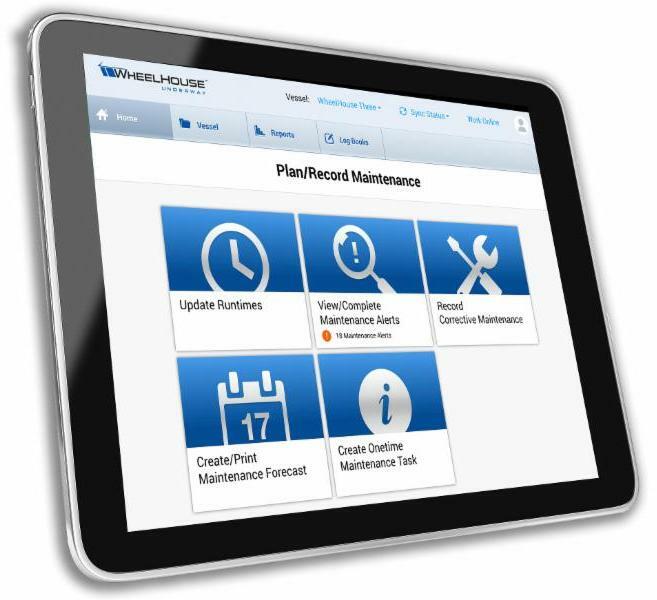 Click the Completed icon to the right of the PM and fill out the Maintenance History. With a little forethought and planning, and by following 5 simple steps, you can use MMS to get ahead on your maintenance so you can relax and enjoy the cruise knowing your vessel’s maintenance is up-to-date.